Jean has advised and partnered with professionals in a thought provoking and creative process that inspires them to maximize their personal and professional potential. Together we will discover, clarify and align with what YOU want to achieve. We will embark on a path of discovery to help determine your maximum potential and implement steps that enable your best self. This process will help you dramatically improve your outlook on work and life, while improving leadership skills and unlocking your potential. Coaching helps individuals and companies focus on what matters most in life and business. What are the benefits of working with a professional coach? Live the life you have imagined… I dare you. Jean has truly been such an inspiration in my life. She has such great wisdom and knowledge. She is funny, talented, witty, and very caring. She is an awesome motivational speaker and a wonderful life coach. Just wait until you hear her speak! 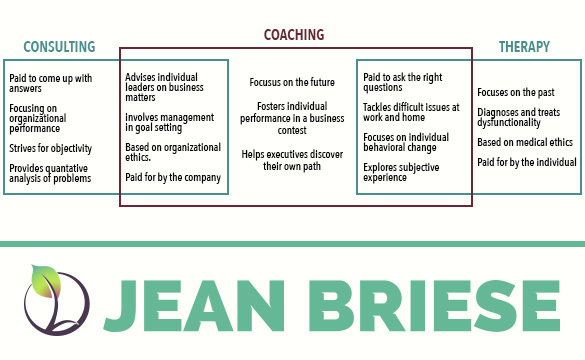 “Jean is particularly adept in the art of helping others to bring out the best in themselves.